The perfect introduction to Calabretta’s wines. Bags of personality. There’s a vibrant edge to all their wines that draws you in with such layers of complexity, it’s impossible to resist! The youngest vineyards, now 13-14 years old, in Calderara. Soil: Volcanic, sand mixed with rocks and stones. Vineyard extension: 1.3 ha. Worked in organic. Type of plant: Sapling tree with a low plant. Vinification: de-stemming, crushing, start of spontaneous fermentation and maceration for 7 days with frequent pumping over in steel containers. End of alcoholic and malolactic fermentation in 70/75 hl wood containers and aging on fine lees in 50/60/70/75 hl Slavonian oak barrels for about 11 months. Having finally tasted through the range, it’s clear that Massimiliano, has wisdom beyond his years, these are such together wines of great purity and individuality. 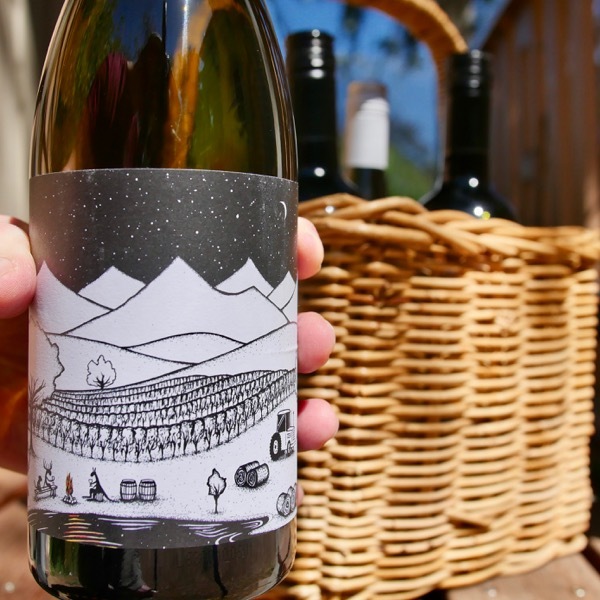 Complete wines of great harmony, filled with vibrant fruit and such personality. No journey through the world of Lava Juice would be complete without trying them! Think ‘SRC’ taken to the next level! A rare opportunity to try 100% Nerello Mascelese & 100% Nerello Cappuccio (2 bottles available) side by side + Calabretta’s current release Vigne Vecchie 2007, and, the single site wines including Nonna Concetta from 100+ year old vines! We have 2 ‘Calabretta Experience’ cases available. This is the only way to get one of 2 bottles of Nerello Cappuccio available for sale. We spent some time with Michael Trembath talking through his thoughts on Etna, Calabretta and the individual wines. You can watch the video below + video reviews at the end of the offer. It’s clear that the family if well and truly connected to the land and that the knowledge of past generations has been passed down the line. The winery looks like a mechanics garage, right on the main road through the village of Randazzo. Its pretty small, with a mixed collection of tanks holding as little as 400-500 litres of some single vineyards. The underground cellars are cut into the lava rock, holding the botti that age his flagship Vecchie Vigne Nerello Mascalese for seven years. 2007 is the current vintage. 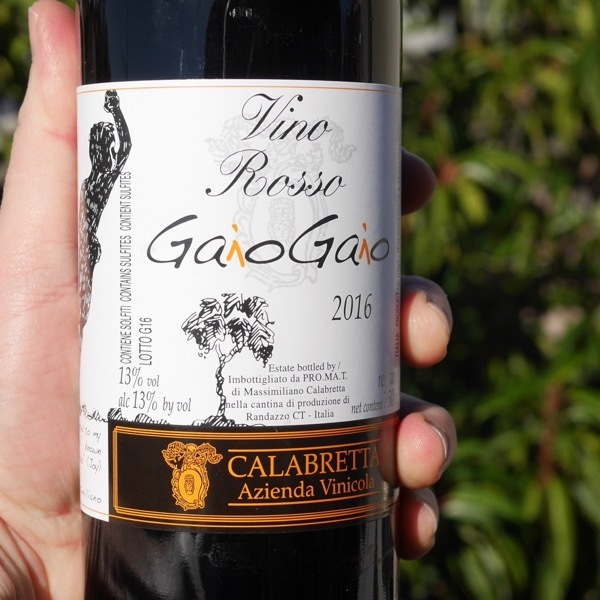 Their first vintage widely release was 1997, but since the early 1900’s the family has been making wine from these vineyards and shipping it north to supply their wine shops in Genova. We need to put this in context, they have 4 generations of experience on Etna. Few could say that! The Vigne Vecchie made in the traditional way, are always aged for a long time in botti, something that has seen Calabretta compared to many of the greats in Barolo. Calabretta is part of the Triple A group – which stands for Agricoltori (Farmer) Artigianale Artisti. It’s a collective of wineries across Europe that that includes E.Pepe, Radikon, A. Occhipinti, Foradori and SRC in Italy. The vineyards, planted piede franco (ungrafted rootstock), are mostly in Contrade Calderara and no chemicals have ever been used. Over the last few years Massimiliano has planted 60,000 new vines, also piede franco. 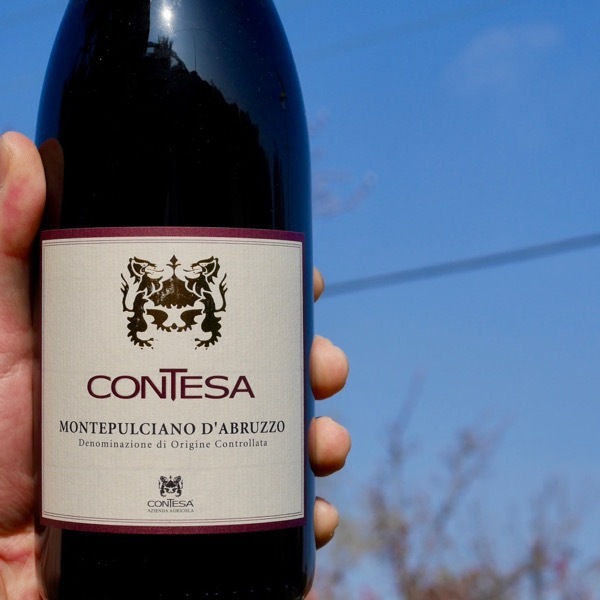 Typically wines made from the Nerello’s exude an entrancing perfume with a delicacy, elegance, and, sophistication that carries through to the palate. With vineyards from 400-1000m in elevation, the lower lying vineyards tend to yield bolder styles, while the higher sites offer greater restraint often being quite ethereal. Texturally the tannins often remind of a more supple Barolo. Like any variety, there is an array of styles being made with variation to maceration time, new vs old oak, small vs large oak, élévage (maturation before bottling), being the most significant factors. One of the biggest factors yet to show itself fully is the difference between vine that are ‘Pei Franco’ (French Foot) planted on their own roots and those that are grafted onto rootstock ‘Pei Rupestris. Direct comparison from the same producer has typically shown own-rooted vines tend to make more elegant styles, vines on rootstock bolder styles. The jury is still out and until a proper scientific comparison can be made my opinion is simply from empirical evidence. We are also seeing the introduction of other varieties to the hill. 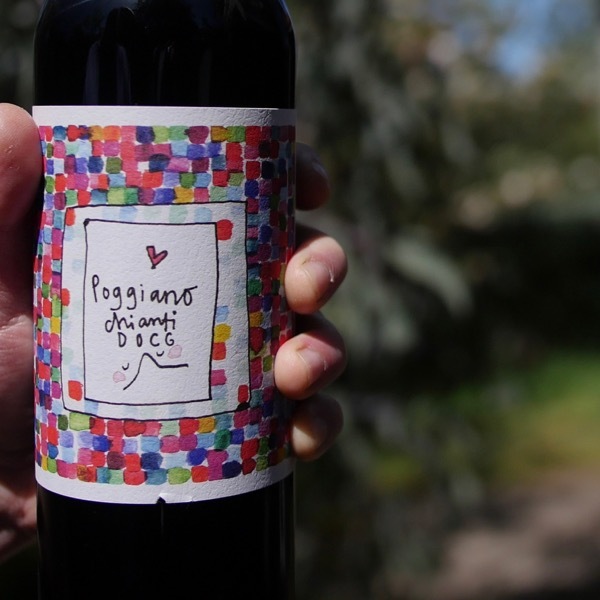 SRC’s Rivaggi is blended with Grenache, their Etna Rosso with Sangiovese, the Alberello (which translates to bush vine) being the only 100% Nerello wine. If you take a short trip from Etna to Faro, with only 35 acres of vines for the entire appellation, located on the North East tip of the island, Casematte are making excellent blends. Their top wine the ‘Faro’ blends Nerello Mascelese wines blended with Nerello Cappuccio, Nocciola, and Nero d’Avola. The level of intrigue is off-tap, such complexity and harmony. I was fortunate enough to devour one a week ago. Accidently leaving a half glass in the bottle proved I should have been more patient. The wine went to the next level with 24 hours of air! The Nocciola adds a degree of richness and generosity without overwhelming the Nerello. Somewhat like the Grenache in SRC’s Rivaggi. Casematte’s second wine the Peloro blends Nerello Mascelese with Nocciola and is a triumph. I thought I’d share these three maps to help you get your head around Etna and it’s place in Sicily. The first map gives you the big picture. The second highlights the general area planted on Etna, mostly South to South-East facing. The third shows most, but, not all of the Contrada (single vineyards) and their relative elevations. Calabretta plantings are in the Contrade: Solicchiata/Montedolce, Passopisciaro/feudo di mezzo, Calderara, Taccione, Battiati/Zocconero. The amount of rock in the soil gives you an indication of the age of the lava flow. The soil with the greatest amount of rock will be the youngest. The soil with the least amount of rock, shows us that more time has passed and the rock has weathered and broken down. Calderara (in Randazzo): sand soli with a lot of “ripiddu” and a bed of stones on the soil. It gives us elegant, good structure & long-lived wines. The wine needs long aging in big oak barrel. Passopisciaro (di Castiglione di Sicilia): historical contrada of Etna able to express very deep & structured wines. Half aging wine. The soil has lower quantity of stone and higher land & sand. 680 meters. Solicchiata (di Castiglione di Sicilia): Elegant wines with finest flavours & perfumes. 780 meters alot of quantity of lava sand. Sicily will remember the 2016 vintage as one to remember. If this is the general agreement throughout the whole island, we must mention the notable peaks in quality on Etna. The 2016 vintage has absolutely been our very best since we began our activities on the volcano. The reasons are easy to see given the meteorological conditions; the summer was cool and refreshed by a useful rainfall, with very pleasant temperatures. Thus we arrived at the end of September in an idyllic situation for the growth/production balance and health of the grapes. The harvest, thanks to the stress-free summer, began with spectacular grapes and commenced about eight days early, allowing us to bring forward the end of the harvest thus avoiding the rains of the second half of October. The results are a fresh and aromatic Carricante and a Nerello Mascalese of great quality, without the excessive alcohol which is a defining feature in certain vintages, but with brilliant colour and ample tannins. Decanting: Massimiliano’s élévage is excellent the wines are well and truly through puberty and into adulthood. Decanting is not essential, looking at the wines in glass over many hours will be rewarding. 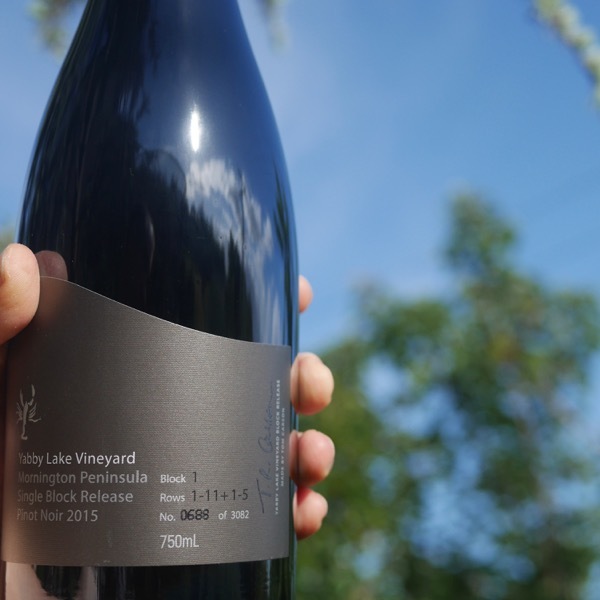 Cellaring: The wines are drinking so beautifully now it will be hard to hold off, we’re all going to be experimenting a bit to work out the drinking windows, so if you get some, please share with the community how they’re looking when you crack a bottle!